Must be nice to be Gotham City’s billionaire, with your own research and development department, head of your own company, have a mansion and be Batman. He famously got on this crazy looking “bike” in the Dark Knight, to battle the Joker and his goons. It looked the business. I think if he lived in a nice wet country like Scotland, the bike would have some kind of front and rear hugger to keep the spray from those tyres from covering you, the fund would be a nice touch though. If yamaha made a super sports custom cruiser it could look like this. Back in 2001, Ducati released 998, the successor to the 996, it kept the crazy styling that Ducati are famous for, and it’s not just the looks that are stunning, the performance is too, one them the World super bike championship with rider Troy Bayliss. 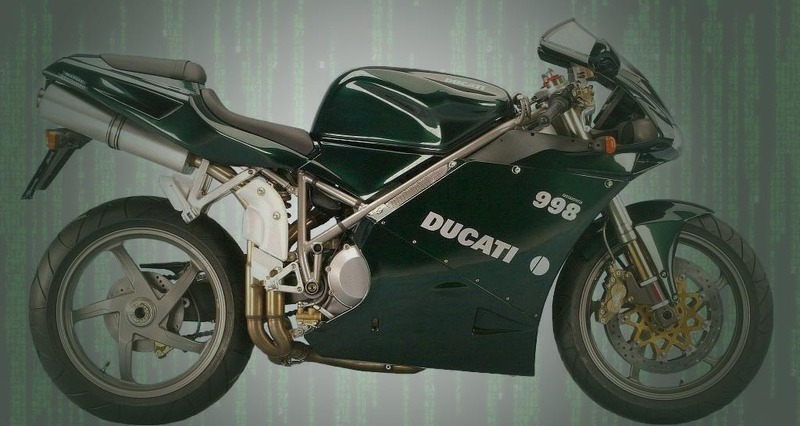 The real fame was when the bike made an appearance in the amazing motorway scene, in the Wachowski Brothers “Matrix Reloaded” the bike was released in limited edition Green after it shot to fame in the movie. 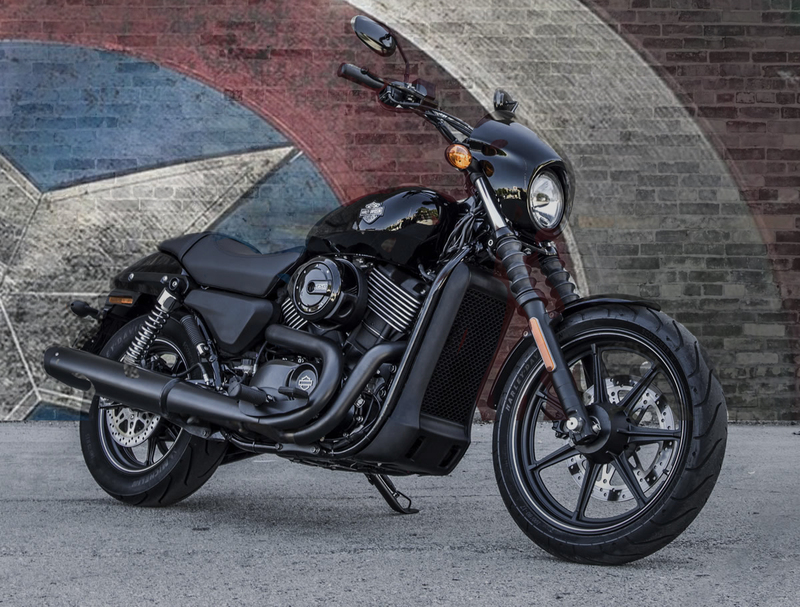 The new entry level harley is coming to the market, The Street 750 will be available from £5,795, for that you get an entry level customisable cruiser with a 750cc liquid-cooled engine, it come in black, and a massive catalog of added extras… the true harley way. This bike is aimed at the younger harley user, and is the bike used in the new Captain America The Winter Soldier move, which should give it the hype harley need to make it a good seller. Not only do Harley offer the cheapest option, but you also get the Harley name. Back in 1985, ‘ABC’ aired a new show about an ex-motorcycle cop and dirt bike rider, injured in the line of duty and then recruited by a top secret government agency, to ride “Street Hawk”. Street hawk is an experimental all-terrain, attack motorcycle. Capable of reaching speeds of up to 300 MPH and lots of firepower, it was designed to fight urban crime. The show lasted for 13 episodes before being canceled. It obviously didn’t live up to the heights of Knight rider. 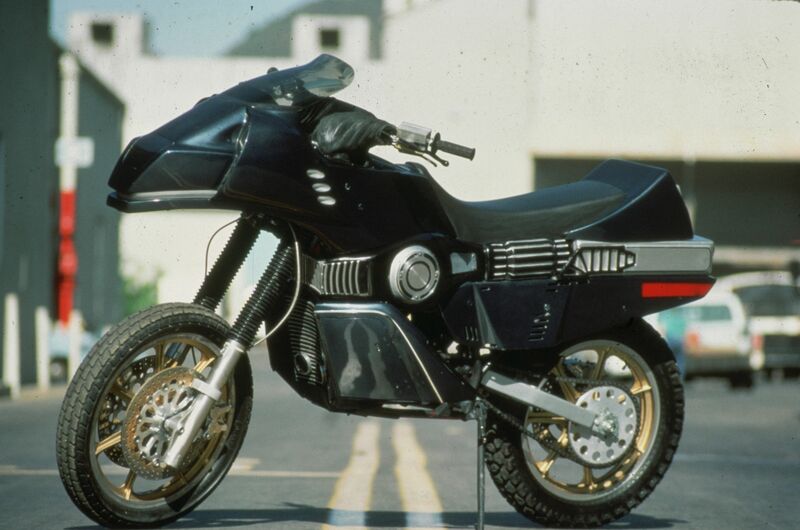 Street hawk was really just a modified 1984 Honda XR500s, but modified to look futuristic in a mid eighties kind of way. 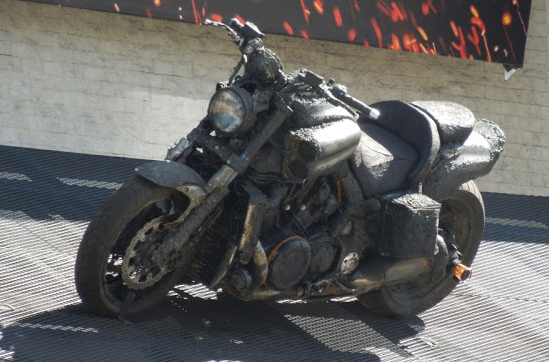 No, it’s not been in a horrible accident, this is the Yamaha V-max that replaced the Harley in the second Ghost Rider film. It takes a lot for Americans to change an America classic for a Japanese cruiser, but the V-max is an incredible machine, menacing, iconic looks, producing more than 200hp from the 1,700cc engine. Unfortunately it didn’t make the film a classic, but it certainly helped Yamaha promote their flagship cruiser. If you have one, you can pretend your Johnny Blaze, but don’t go setting it on fire, thats just special effects. I like movies and tv when i’m not out on my bike, even more when they have bikes in them. So i thought I’d start a new section that I could put some of the iconic bikes from the screen into my blog. The first one I thought I would put in was the bike used in the latest season of the Walking Dead. They use a modified Honda CB750, with a front end off a Yamaha YZF-R6. Applying some rustic paint and chunky tyres, and you have an ideal bike for touring the apocaliptic back woods of a zombie filled America. Plus there is space for your crossbow on the back. This was the second bike the character “Daryl” has used in the show, the first bike will appear at some point later.